Is my website on brand is a question every business owner should be asking themselves today. If you haven’t, or are unsure exactly what ‘brand’ is, then let us break down the fundamentals of a brand and its importance within your business and your website. Simply put, a brand is an accumulation of identifying elements that differentiate one seller’s business, product and services from another. Some brands are so strong that they are recognised by a single brand element such as the font used in their company name (Mcdonalds) or the colours used in their logo (Google), however, most companies would consider the following to be the basis for their brand. Your brand can consciously and subconsciously influence your audience, set moods and dictate much of their buying decisions. Your brand influence starts at the very moment your marketing collateral connects with a prospect. Your brand could be, or should be, everywhere – business cards, brochures, websites, email campaigns, infographics. How many times have you been given a business card and the logo, font and colour are completely different to how they appear on the website? This inconsistency instantly lowers trust and is not an obstacle you want, or need to introduce into your selling cycle. It also creates an element of confusion and prospects are left questioning whether or not the two identities refer to the same company or not. Use of colours, fonts, imagery, key messages and all other brand elements must be consistent on all marketing materials. Where should ‘Brand’ be in a website? Your brand plays a very important part in relaying your key messages into your website and as mentioned above, these need to be consistent across the board. Even if you are not receiving a high volume of website traffic at present this may not always be the case. It can take one successful email campaign or a successful Pay Per Click marketing campaign for your website, and brand, exposure to change very quickly. Your brand is embedded into the design of your whole website. Your logo and choice of imagery generally takes centre stage on your homepage, your website will be (or should be!) styled with a particular set of complementing colours that are also fully, or partially, incorporated into your logo and of course your website name (which should include your business name if possible). The tone in which your content is written will also play a big part and is often one of the most overlooked areas of branding. 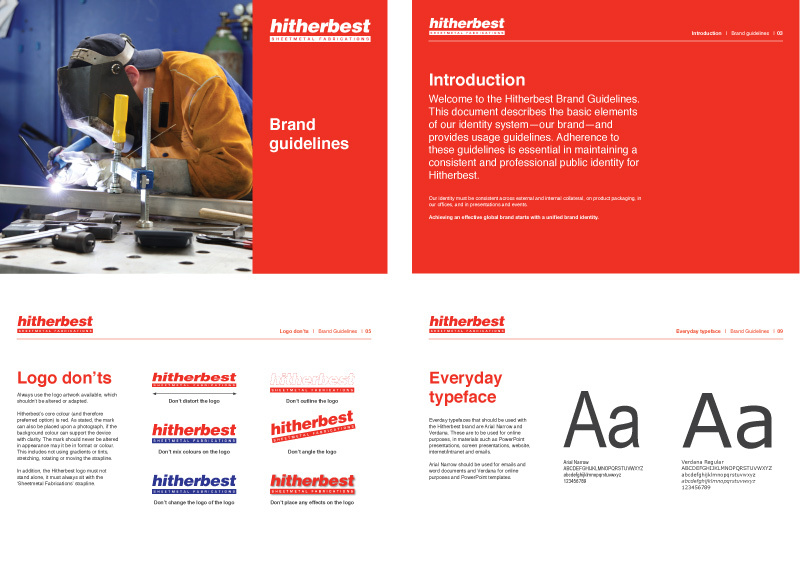 A set of brand guidelines will help keep your image consistent across all marketing platforms. It is a point of reference for you and your marketing agency. Your guidelines don’t have to be extensive but should clearly lay out the do’s and dont’s of each brand element. At Verve we often work with clients to develop their brand from scratch so if branding is something you haven’t given any thought to yet then do not worry we are here to help. Your business is identified by its brand. It can often incite emotion and influence buying decisions. Successful brands who keep their branding consistent and meet the promises set out by their mission statements earn brand loyalty and this is key to business growth. There is a big thought process involved in the creation of a brand and much care should be used to ensure it is interpreted in a consistent fashion. Although this article is titled ‘Is Your Website On Brand?’, the importance of your brand, and its influence, will be found on a host of marketing materials such as Business Cards, Letterheads, Leaflets, Emails, Social Media Platforms, Exhibition Stands, SEO Campaigns and wherever else your choose to advertise your business. Verve Graphic Design are experts in brand design and the managing of its appearance through marketing campaigns. If you would like a consultation to discuss the creation of a new brand or managing your brand through marketing platforms please get in touch with us today!